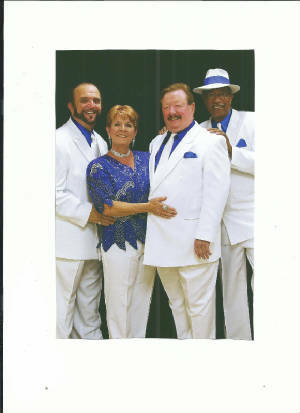 Originally formed in the Throggs Neck section of The Bronx, New York, in August of 1964, by Lola & Tom Foy, "The Saints" have enjoyed a long and magnificent career in show business. After having performed and recorded under many different guises, they have always managed to find their way back to their Doo Wop roots as well as their original name "The Saints". Along the way, there have been occasional changes in personnel and many bumps in the road but, amazingly, Lola & Tom are rapidly approaching their 53rd year with the group. Tony Torre and Jerry Long are the "newest" members of Lola & The Saints, (going on 9 years now), and they have become an integral part of the group.